Written on June 20, 2013 . Posted in Announcements + Updates. 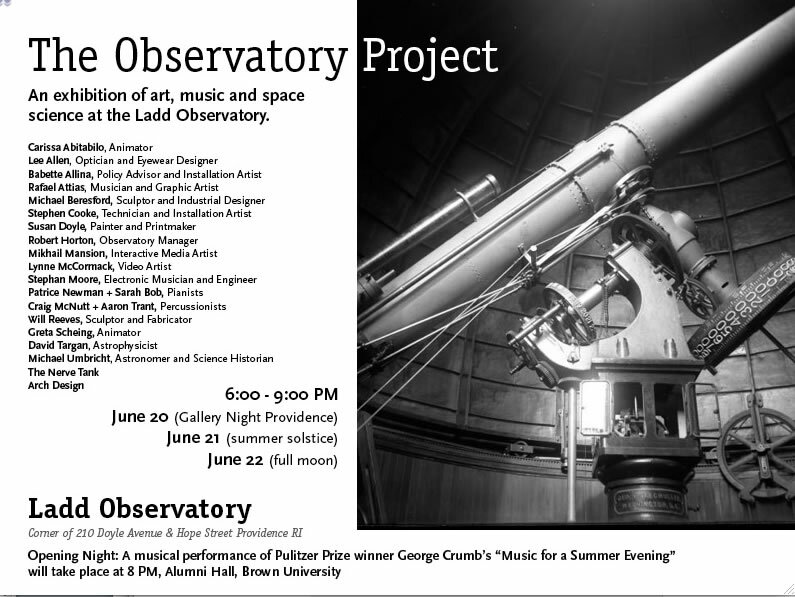 A diverse group of collaborators has built an exhibit at the Ladd Observatory, Brown University, that incorporates visual mechanisms, sculptural objects and musical performance to highlight notions of observation at various degrees of perspective, imagination and apparent magnitude. A number of RISD staff and faculty are included among the participants.